Equally at home on the job or in the shop, the 12 Gallon wet dry vacuum cleaner delivers the ideal combination of performance, drum capacity and convenience. 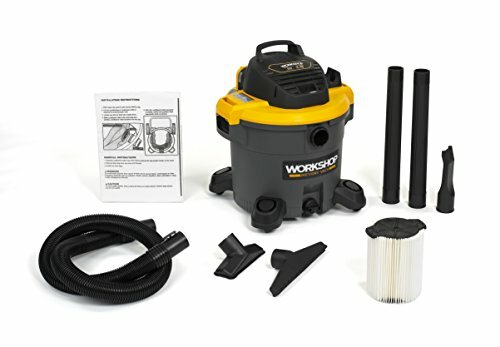 Includes: shop vacuum cleaner, 7-foot locking hose, 2-1/2-inch utility nozzle, car nozzle, wet nozzle, 2 Extension Wands, WS21200F standard Qwik Lock filter, WS32200F dust collection bag, owner's manual. Also compatible with WS22200F Fine Dust Filter and WS23200F HEPA Media Cartridge Filters, and for wet pick-up, WS24200F Wet Filter.